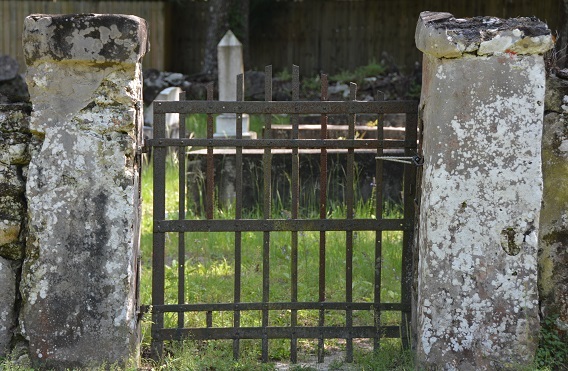 The Kanapaha Cemetery is among the oldest historical sites in Florida. Situated along the western edge of Kanapaha Prairie, it holds the resting places of many of Alachua County's earliest pioneer familes. 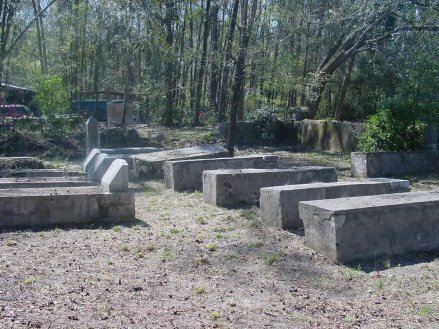 Maintenance of the cemetery relies upon volunteers from Kanapaha Presbyterian Church, with gracious and welcome support from the families of those interred here, as well as from volunteers from the non-profit historical preservation group, Historic Haile Homestead. The cemetery continues to this day to serve the members of Kanapaha Church and their immediate family, as well as descendants of those who have been buried there. 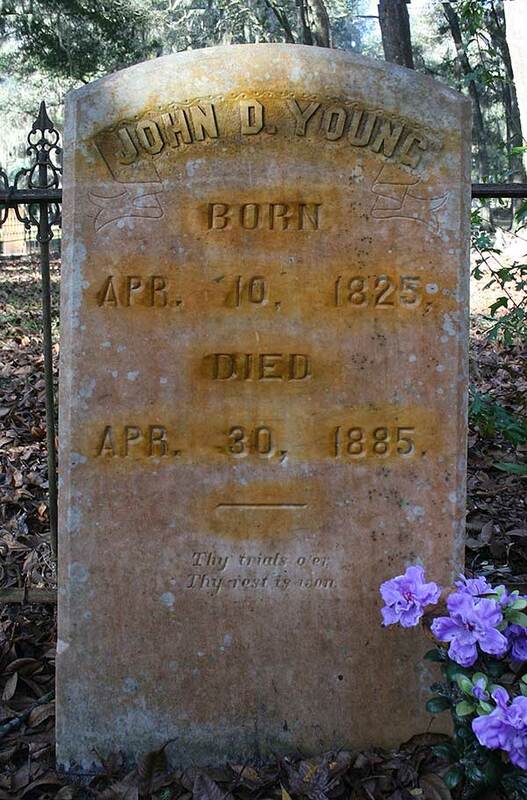 April 2015 Article- "News from Kanapaha"
On Saturday, April 25th at 11 am, the Veteran's grave marker for John D. Young (1825 -1885), one of the founders of Kanapaha Presbyterian Church, will be rededicated by the Madison Stark Perry Camp #1424, Sons of Confederate Veterans (SCV) at the Kanapaha Presbyterian Church Cemetery. Mr. Young's marker was found in a field in Osprey, Florida last year when land was being prepared for development. The origin of the marker was a mystery until a TV station in Sarasota aired the story. 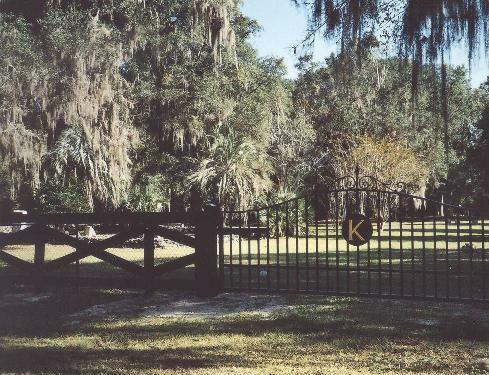 Several members of the SCV in the area saw it and were able to trace the marker to the KPC cemetery, thanks to the Alachua County Virtual Cemetery Team which had photographed the cemetery in 2013 and put the photos on line. After they contacted the church, elder Karen Kirkman drove down and picked up the marker. This is now the second Veteran's marker found in two years which had been removed from the KPC cemetery. 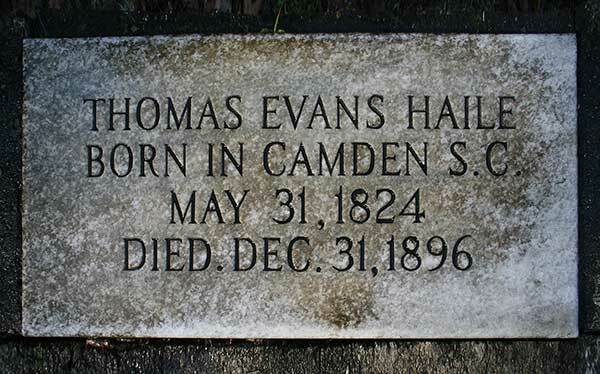 Thomas Haile's marker was discovered in a creek bed in east Gainesville a couple of years ago and rededicated. After the completion of the building in April 1859, the church was formally organized, with 12 members and two elders, viz: Dr. W. H. Stringfellow and Mr. Joseph A Scott, with no deacons. In November of that year, Kanapaha was united with the Presbytery of Florida at Jacksonville. The first independently-standing Kanapaha Presbyterian Church was a starkly utilitarian structure roughly following the same dimentions as its subsequent namesake. Based on the above accounts, it appears that the original Kanapaha Church remained in use at least until the beginning of 1885. During 1885, it is important to note that the Archer Presbyterian Church had just been completed, its design serving as the model by which many, including Kanapaha's replacement, would be crafted. Knowing that the Kanapaha Church had been yearning for a position closer to the railroad, that the condition of the original church following the war was said to be unsafe, that the congregation had begun to meet more frequently at the School house accross the railroad on the North side of the Edward Haile property (30), and that the Archer congregation had just freshly completed their model Presbyterian church, the timeline strongly suggests that the original Kanapaha Church was not lost accidentally in a fire, as rumored, but was very deliberately decommissioned. 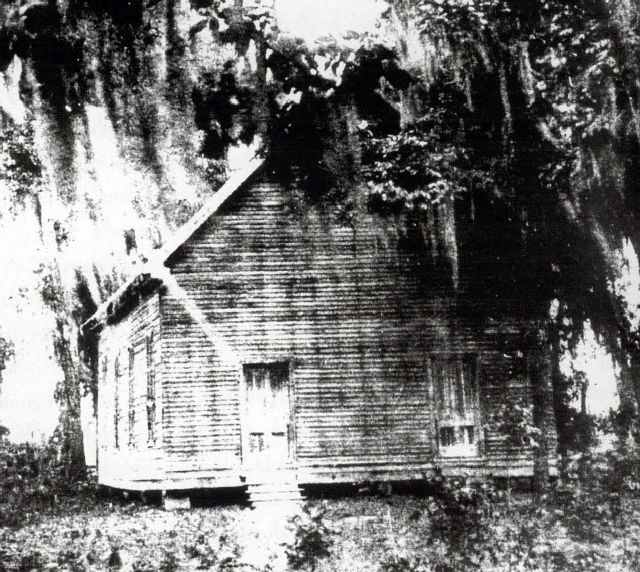 As the Kanapaha congregation continued to divide its services between the old church and the school house, elders purchased the site of the new Kanapaha Church, adjacent to the Kanapaha Station, in June of 1886. The new structure was dedicated in October of 1886. Given that people of this era typically wasted nothing, it is plausible that valuable timbers and other materials would have been salvaged for use in constructing the new church. The debris remaining at the old site was likely burned away, seeing as this site was to continue as the church cemetery. This may account for the rumors of the old church having burned. View of the new iron gate and board fence which was donated to the Cemetery by the Rancourt family. Kanapaha Cemetery is located at 4101 SW 63rd Blvd. Supporting Kanapaha Presbyterian Church has never been easier! Donate Online!